Discover one of the most capable trucks in the market - the redesigned Ram 1500. The pickup is designed to set the benchmark for strength, durability and capability in the class. The result: the strongest, most capable Ram 1500. Explore the capability features of the pickup in the Fort Collins area. For Cheyenne and Fort Collins drivers, the Jeep Wrangler represents the ultimate in capability and enjoyment. With a variety of off-road tech mixed with practical features, a Jeep Wrangler makes for a fun and rewarding ownership experience. For 2019 the Jeep Wrangler is back, and as great as ever. While every Wrangler model is great, if you’re looking for an elevated experience, you’ll want to consider the 2019 Jeep Wrangler Rubicon. You will find both light- and heavy-duty options for a new Ram truck at our Cheyenne Ram dealership, and while there are many similarities across the board, there are differences you must consider before making your decision as well. That is where Cowboy Chrysler Dodge Jeep Ram seeks to help car buyers like you! We have gathered the best figures achieved by 2018 models of the Ram 1500, Ram 2500, and Ram 3500 to illustrate the tiers now available to you. Under New Ownership: Cowboy Chrysler Dodge Jeep Ram is Part of the Dealin' Doug Family! Cowboy Chrysler Dodge Jeep Ram is proud to become the newest addition to the Dealin' Doug family! While Cowboy Chrysler Dodge Jeep Ram may have new owners, drivers can expect the same level of attentive, personable and professional service Cowboy Chrysler Dodge Jeep Ram has offered for years. Are you looking for a car that looks as awesome on the outside as it does on the inside? The Chrysler 300 has that covered. Did you know that the wheels of a vehicle are the determining factor of the vehicle's character? With the Chrysler 300, you have the option of 9 different wheel designs. Are you concerned about your visibility while driving? 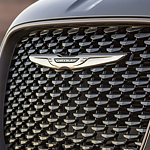 The Chrysler 300 has high-intensity discharge headlamps, accompanied by an automatic leveling monitor that adjusts to the steering angle, as well as vehicle speed. 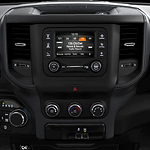 We here at Cowboy Chrysler Dodge Jeep Ram in Cheyenne understand the importance of finding the right set of safety features and design for your next new truck. Just what sets the 2019 Ram 1500 apart from other trucks? While some trucks have safety features as an add-on, the Ram 1500 has many of them as standard features. Standard on this popular light-duty pickup truck is a high-strength steel frame. It's reinforced in areas to help haul big loads and help protect you in case of accidents.